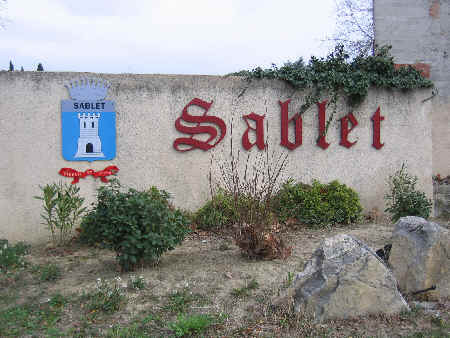 This Southern Rh�ne estate is situated in the village of Sablet, near Gigondas. It's owned by the Autran family and winemaker Jean-Marc Autran has been at the helm since the mid-1980s. His great grandfather built the cellar in the 1940s and Jean-Marc expanded it in the mid-1990s. The property comprises approximately 30 hectares of vineyards, a small patch in Gigondas and most of the rest split between the C�tes-du-Rh�ne appellation and that of Sablet. The vineyards are mature, most being somewhere between 20 years of age on the young side. Wines from this estate routinely are nicely balanced and well-made. They have a nice standard of quality. 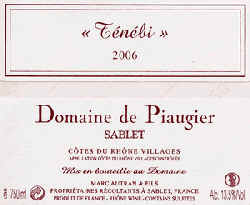 We've often have the Sablet rouge from Piaugier. It comes from soils featuring clay, limestone and sand which gives the Grenache a particular spice note. The wine is a blend of Grenache and Syrah and it's medium-bodied, not a big, heavy monster. The wine has routinely "made the cut" here and customers who buy a bottle often return a day or two later to pick up some more (this is the 'test' of a good bottle of wine...not some numerical score from a critic). A recent addition is their lovely Gigondas. This comes from a 3 and a half acre patch of 40 year old vines. It's Grenache, Mourv�dre and Syrah. Autran matures 20% of the lot in once-used wood and 10% in new oak. This is, then, bottled without filtration. The 2009 is quite a nice wine and we suggest it as being a good value, too. Pair this with a savory lamb stew or braised lamb shanks...it's a great combination! Jean-Marc and Sophie had visited the famous Beaucastel estate in Chateauneuf some years ago and tasted a number of samples of various varietals, one being Counoise. This is an obscure grape, said to have been brought to the Rhone centuries ago as a gift to the Pope from some emissary who obtained cuttings in Spain. 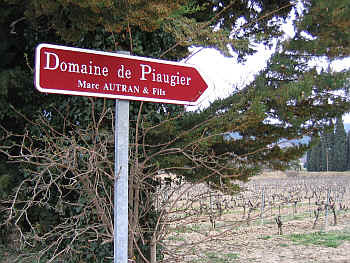 It's not widely cultivated in the Southern Rhone, but you'll see it listed as a percentage or two in many Chateauneufs. 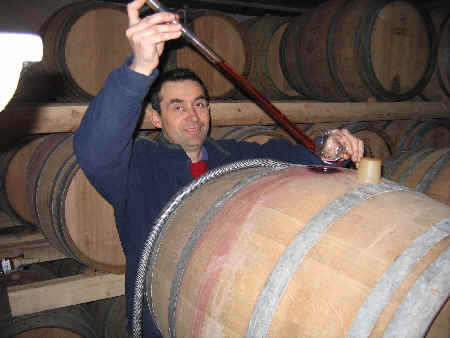 The Autrans found the wine to be of interest and Jean-Marc started making Counoise on its own back in the early 1990s. 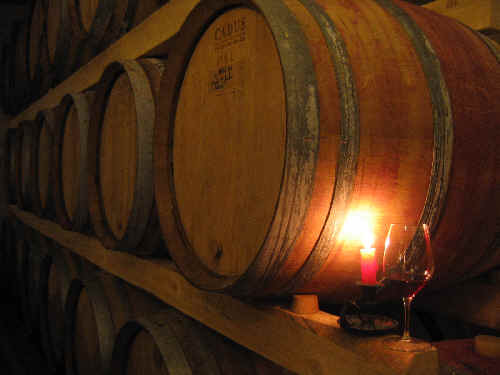 Today they produce a few barrels' worth and label it "Tenebi." It's a medium-bodied red wine showing a whiff of oak and nice red fruits with an underlying spicy element. It's quite good and a nice match for braised or stewed meats. 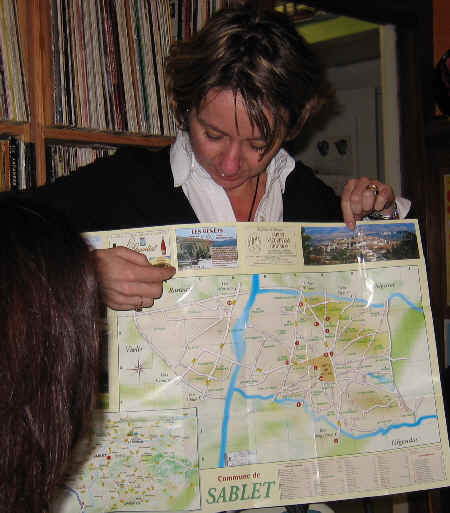 Sophie Autran explaining where they have various parcels of vineyards in Sablet. A bottle of Tenebi served with some Sablet "home cookin'"
The Gerin family has been cultivating vines for 5 generations, but the history of this domaine began in 1983 when Jean-Michel purchased a small parcel of Syrah in the C�te-R�tie appellation. 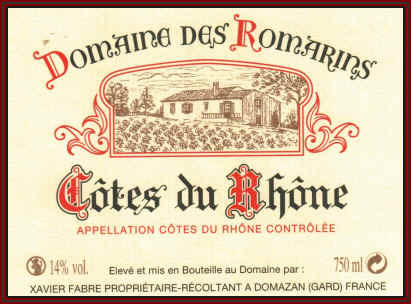 In those days, Rh�ne wines were looked at as less-costly alternatives to Bordeaux and Burgundy. Today some Rh�ne wines cost more than similar quality Bordeaux and Burgundy! Gerin started bottling wine only in 1987 and the domaine continues to grow and excel. We've followed Gerin's wine for a few decades and are pleased to note the quality was good to begin with and it's even better now. Amazing what happens when the vines get older and the winemaker does, too! 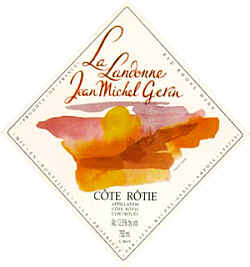 Jean-Michel makes a range of wines, but it's his C�te-R�tie wines which excite us the most. His entry-level wine is usually quite nice and he has a small parcel in Les Grandes Places, too with old, older and ancient Syrah vines. I bought a bottle of Gerin's 2004 La Landonne to taste. Guigal makes a "grand cru" caliber wine from his parcel in La Landonne and has been making it since the 1978 vintage. Gerin started making wine from his tiny 4/10ths-of-a-hectare patch of vines in the 1996 vintage. Gerin's wine costs a small fortune, while Guigal's goes for "ransom" money. But it was exceptional and so was the 2005. We have not seen this wine in distribution locally for a few years. 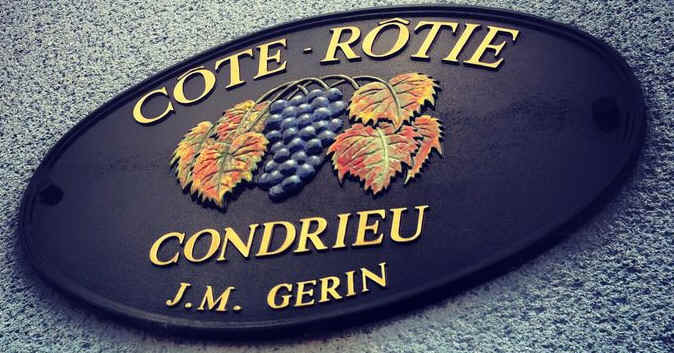 Gerin's basic Cote-Rotie is very fine and while it's not quite at the lofty level of the single vineyard wine, it's a really great bottle on its own. "Champin Le Seigneur" is the designation. It's got about 10% Viognier in the blend and about half the wine was matured in new oak, so you'll certainly find the wood here. Speaking of Viognier, Gerin has less than two hectares of vines in the Condrieu appellation. 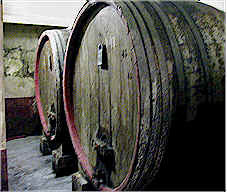 A percentage of the juice is barrel fermented and they do some battonage on the wine after the fermentation. It's remarkably peachy and complex and you'll find a note of wood spice from the oak. Dry, of course. Their new importer doesn't seem to offer this presently. We have a 2014 Syrah from the appellation "Collines Rhodaniennes" appellation. Yes, it's a less noble bottling of Syrah, but it delivers a lot of Northern Rh�ne character in a youthfully exuberant wine. We like the bright blueberry and blackberry fruit with a touch of spice and some of the olive notes which reminds us a bit of tapenade. Served at cool cellar temperature, this is a delightful red. It's certainly comparable to young, bright Crozes-Hermitage wines. It's great to find fantastic wines from wonderful independent wine growers, but we also appreciate when large wineries make good wine. This exceptional Southern Rh�ne comes from a growers' cooperative winery called Vignerons de Caract�re along the Route de Vaison la Romaine in Vacqueyras. The winery was founded 50 years ago and today it has about a hundred families growing grapes for the 3+ million bottles they make. With such economies of scale, they can offer their wine at a rather attractive price. We tasted their 2013 vintage Vacqueyras and it's medium-dark colored, showing lots of berries and spice notes. Oak is not a part of this wine...the fruit takes center stage. It doesn't strike us as a wine for cellaring, so drinking it over the next year, or so, is probably best. You can pair this with a lamb or beef stew or some grilled meats or sausages. Though the vines are old, the winery is brand new. Owned by the Saurel family, the fruit from these vines in the C�tes du Ventoux village of Mazan used to be delivered to the local grower's cooperative winery until 1998. 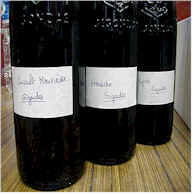 Young Stephane Saurel is interested to make his own wine and he seems to be on the right track. The winery takes its name from the God of Wind, "Eole." The property comprises some 20 hectares of vines. They cultivate Carignan, Syrah, Grenache, Cinsault, Mourv�dre, Clairette, Ugni Blanc and Viognier. The Carignan vines are from Grandpa Saurel, those vines being rather elderly. The cellars are new, but not reeking of modernity. In fact, they strive to move the wines by gravity, rather than pumping, for example. With dad in the vineyards and the son in the cellar, these guys have an unusually good, rather "serious" quality C�tes du Ventoux wine. We had a good wine from them a couple of years ago, but our importer chose to skip an "off" vintage here...now we're delighted he's found something worth bringing here...the wine displays a bright, berryish fragrance of red fruits. The flavors confirm the aromas, being beautifully balanced. Fans of 16% alcohol California wines will probably find this wine to be too "delicate," but it's marvelously flavorful and dangerously drinkable for those who don't have lead palates. We suggest serving this wine at cool cellar temp. It's not a bottle for "cellaring." You'll want to drink this now. 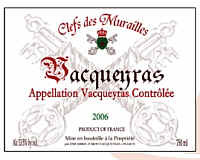 The Archimbaud family has holdings in both Vacqueyras and Gigondas. We've had numerous vintages over the years and find these to be rather deeply fruity reds with a hint of a jammy note. They are good examples of their appellations and, thanks to a local importer with a great deal of integrity, the wines of Montmirail arrive at prices which should catch the attention of those searching for value. The vineyard has been in the family for years and they've been making their own wines for more than 50 years now. If I understood them correctly, the winery began bottling its own products in 1980. They make several bottlings of Vacqueyras, some basic C�tes du Rh�nes and the Cuv�e Beauchamp Gigondas. As they tend to be wines of modest acidity, we feel these are best consumed in their youth. 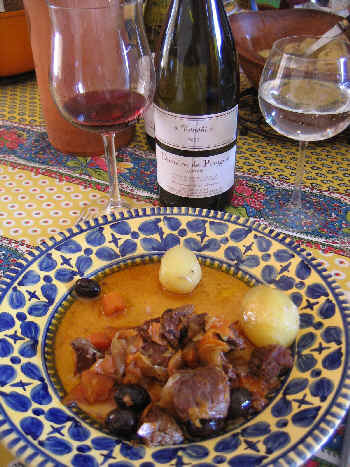 Since the wines, further, tend to be so approachable, they may be served with white meats as well as red. Oak is not a major part of the wines of this house. Only a few lots see any wood and, as you can see to the right, the wood that's there is quite old and neutral. 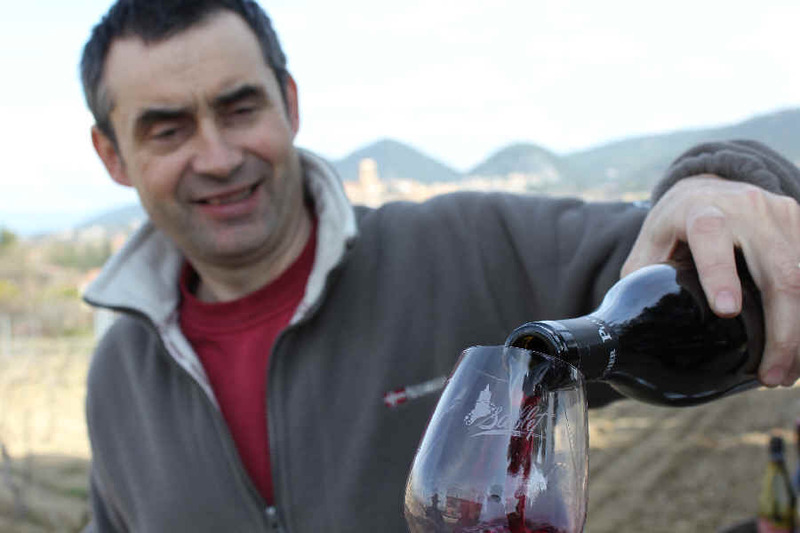 A top producer in the C�tes du Luberon, Jean-Pierre Margan is a believer in organically-farmed vineyards. Located in the town of Bonnieux. he is much-envied by the neighboring viticulteurs. The red wines of the C�tes du Luberon are made of the same varieties you'll find in the southern Rhone. Knowing the neighbors are jealous, he told some blabbermouth that he had "Cabernet" in the vineyards. The neighbors then called the authorities who came out to Bonnieux to investigate and make an arrest. Much to their dismay, the "Cabernet" Margan had "out in the vineyards" was of a four-legged variety. That is, "Cabernet" was the name of Margan's dog! When we visited him we saw a couple of dogs. I asked which one was Cabernet. "Oh, Cabernet died," replied Monsieur Margan. "Now I have Merlot!" We heard a report that a wealthy American family sent an emissary to the estate with a blank check and asked Jean Pierre to "fill in the amount and then leave." He told them "Non, merci." While we appreciate his sense of humor, we used to be big fans of these wines. The reds have been a bit particular over the past decade...some vintages are a bit leathery and showing horsy notes with intensely leathery fragrances. We had found the Rose wine to be reliably good for a number of vintages. 2015 is currently in stock. It's beautifully fresh, mildly fruity and bone dry. This family-run vineyard and winery is located about halfway between the city of Orange and the lovely town of Nimes. You need about half an hour in the car from either venue to find Romarins in the village of Domazan. We've had a few vintages of their C�tes du Rh�ne Rouge in the shop and these have been quite good and well-priced. The 2015 is 35% Syrah, 30% Grenache, 25% Carignane and 10% Mourv�dre. The vines are mature, ranging from 20 years of age to 30. It's a simple, yet soulful red wine. Medium-full bodied, with mild tannins, you can easily drink this now in its youth. The fragrances and flavors are reminiscent of red fruits such as strawberry and raspberry. Add to that is a hint of spice and maybe even a touch of an herbal quality which suggests rosemary. This is quite enjoyable now and it should last nicely for three or four years. It's a wonderful bottle and well-priced.